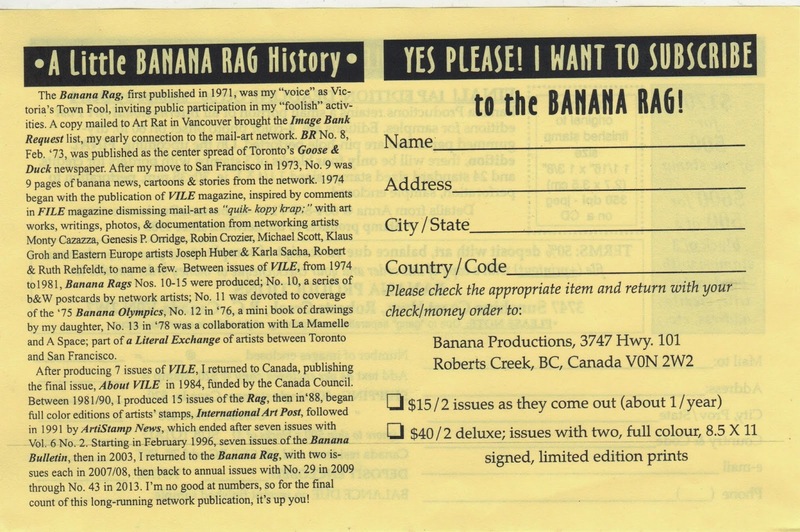 The Postal Ledger: Banana Rag from Anna Banana! 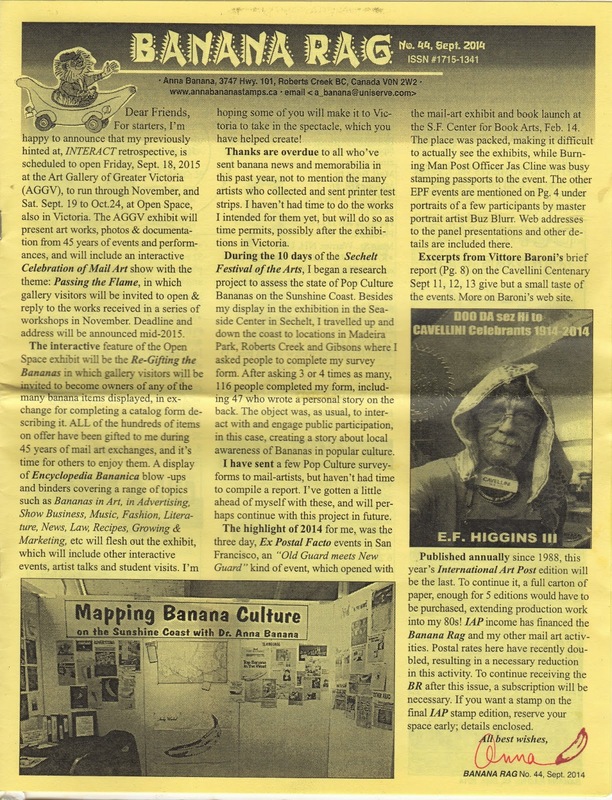 Read the Banana Rag from cover to cover! 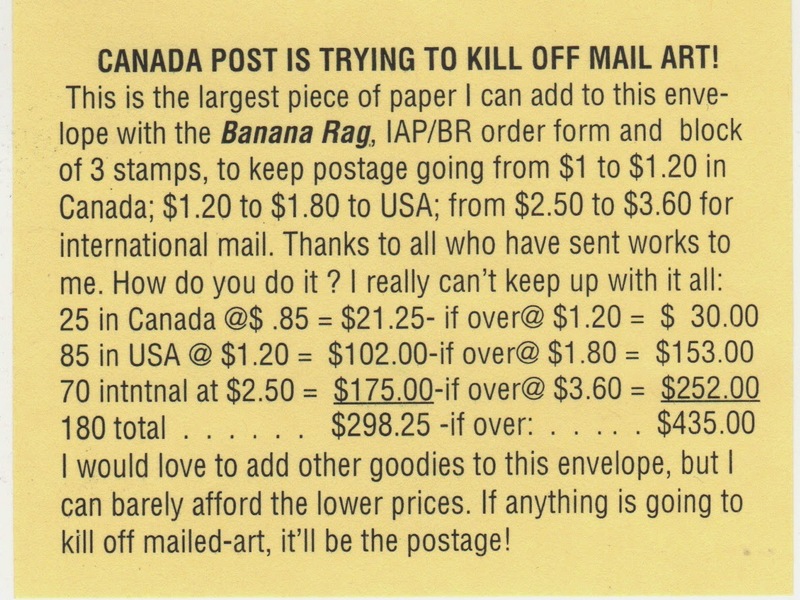 more beautiful stamps and the opportunity to make my own - my last chance! If you are interested contact Anna. They are absolutely first rate! 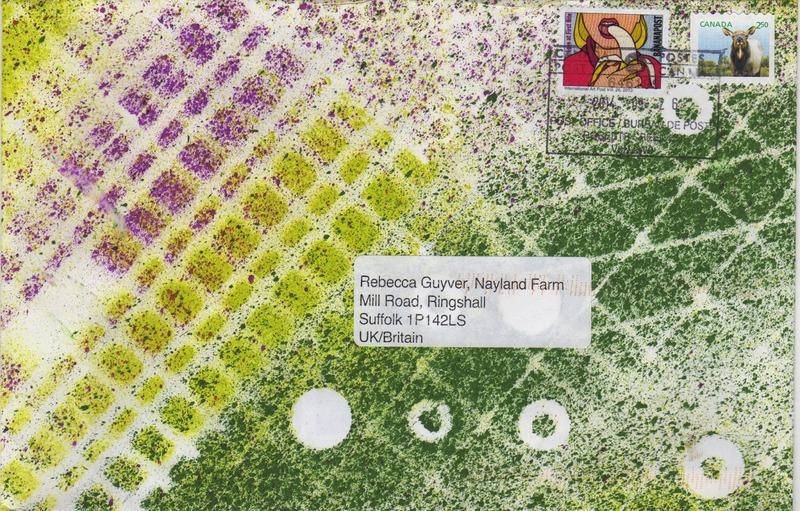 Her envelopes are exquisite. I believe she numbers and recycles them. Anna was the only woman in a xerography exhibit at a local museum. Go Anna! and don't forget banana day!